The following awards and honors have been paid to our members while they have belonged to our chapter. 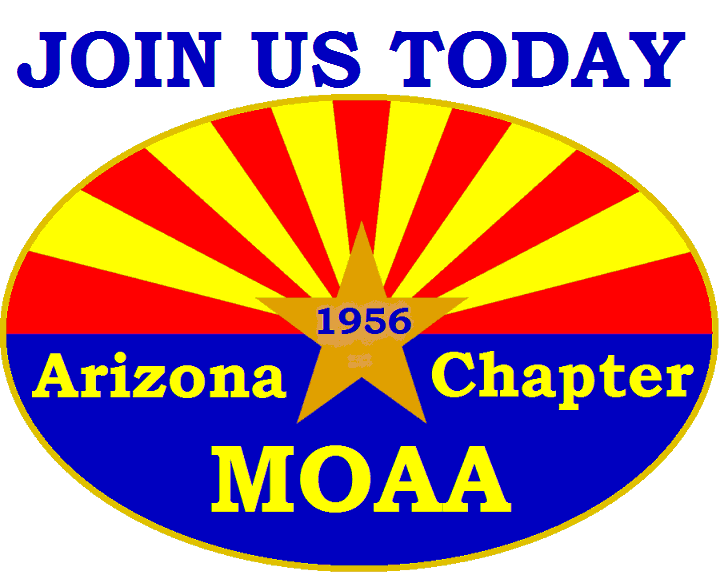 The MOAA President’s Award is presented to individuals who have made exceptional and continuing outstanding supportive contributions to their chapter, council, or to MOAA. 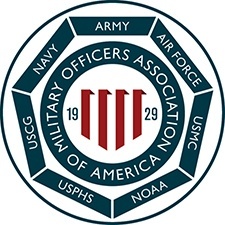 The MOAA Leadership Award is presented to council and chapter officers who have made an exceptional contribution to their chapter, council, or to MOAA. 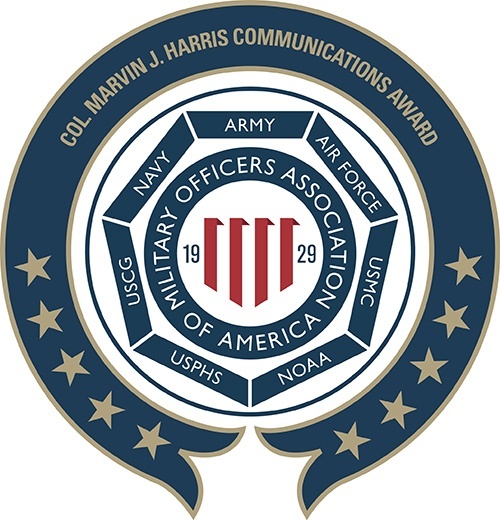 The award is distinguished by a special gold lapel pin and is awarded with a letter of congratulations from the MOAA president. 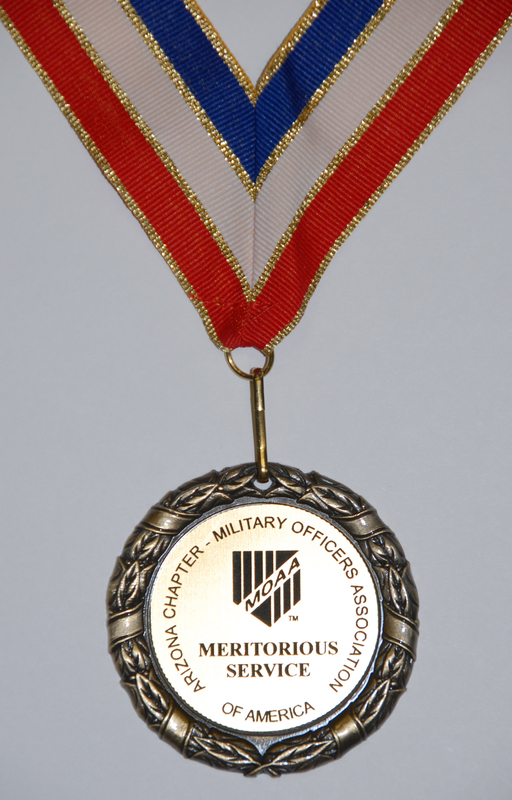 The MOAA Certificate of Merit is presented to chapter officers who have made significant contributions to their chapter, council, or to MOAA. The award is distinguished with a certificate signed by the MOAA president. 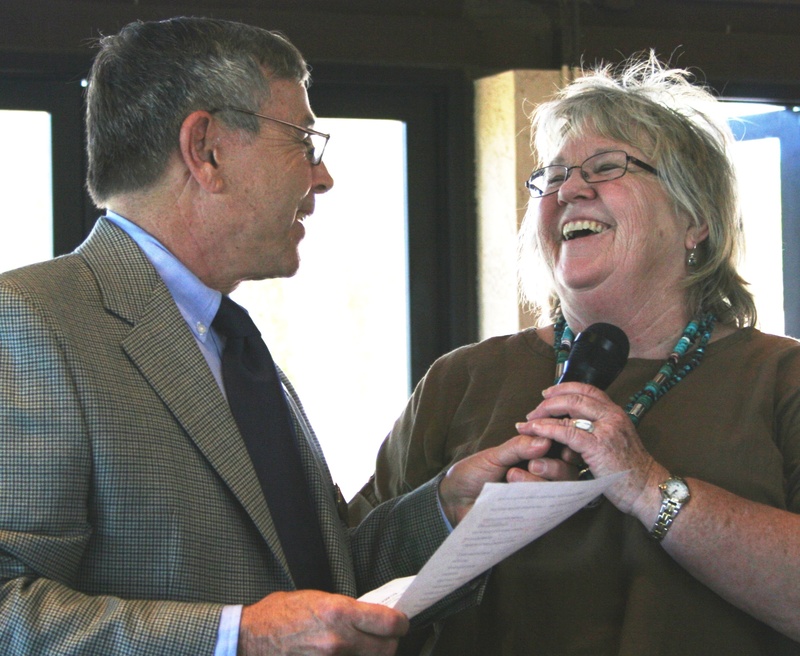 The MOAA Certificate of Outstanding Service is presented to spouses who have supported their chapter, council, or MOAA in an exemplary manner over a period of years. The award is distinguished with a certificate signed by the MOAA president. 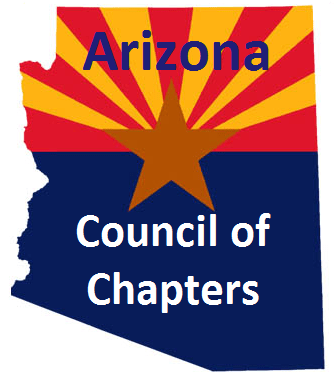 The Arizona Chapter of MOAA has provided the Meritorious Service Award to recognize and reward outstanding acts or services which are above and beyond that normally expected and which distinguish the individual among those performing similar acts or services. This award was first presented to deserving members in November 2001. In 2012 the total number of MSAs awarded to an individual was capped at three. You can view the MSA Selection Process by clicking on the underlined words. Please view the recipients by clicking on the underlined year. NOTE: Awards capped at three awards per person.